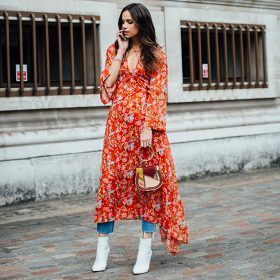 Women's midi dresses are perfect for every season - in summer, wear them with matching sunglasses, and in winter, with a long cardigan or find an interesting way to style yours, like with a pair of jeans. You can wear it for every occasion, too, just make sure you style it right: for a fancy dinner opt for a gorgeous necklace and matching bracelet, and for a brunch go for sneakers. Also check out our midi skirts category for other midi-length favourites we guarantee you'll love.